Why does a typical chain grocery store give me the feeling that I’ve been hit by a steamroller, while even a decent farmers market leaves me feeling refreshed, rejuvenated, and ready to create some sort of culinary delight in the kitchen? The narrow selection at a farmers market leaves me with fewer choices, so I feel less overwhelmed. 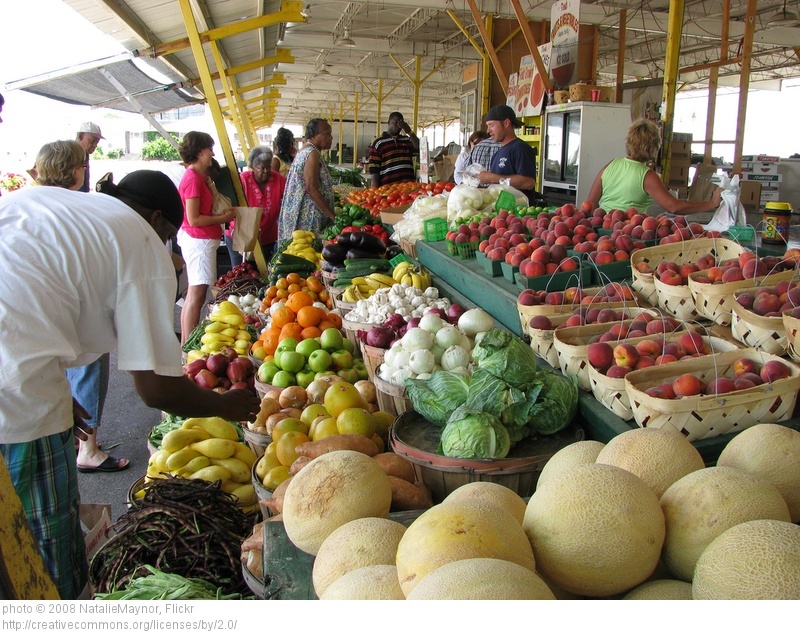 Usually farmers markets are in natural settings, devoid of fluorescent lightning, elevator music, and shopping carts that can be weapons in the hand of an unskilled driver. When I go to market, I typically only buy a handful of ingredients that look really fabulous to make a few great meals. When I go to the grocery, I try to buy as much as I absolutely can that can last me as darn long as possible . . . so that I can avoid going back for an extended length of time. Cloth shopping bags: adored and expected at the farmers market, looked at with confusion and bewilderment at my local chain store. The grocery store gives me so many chances to make bad food choices that I leave feeling like I’ve spent an hour lusting after junk and then psychologically beating myself up for it. Then there’s the inevitable buyer’s remorse when I buy any sort of prepackaged junk food item that FYI, doesn’t even taste good once you get out of the store. The faceless nature of a grocery store doesn’t give you a good feeling about where your money is going. Yes, real farmers grow the food, and I even happen to know a few that grow at that scale and they aren’t bad people… but since I don’t know what came from where, it takes away the joy of supporting someone who I can see with my own two eyes. 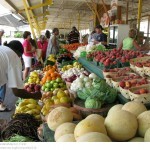 I know there are many other reasons why shopping at a market is more enjoyable than a grocery store. Do you have any reasons to add to the list? I prefer the farmers market . I also grow a big garden . I wish everyone had a green plot where they could have a garden .